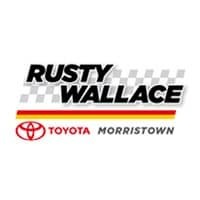 Rusty Wallace Toyota, located at 5944 West Andrew Johnson Highway in Morristown, TN, understand that SUVs are extremely popular and the demand for them has never been higher. These vehicles are incredibly useful for their space. We also understand that, for one reason or another, a new Toyota is not in everyone’s plan or budget. For that reason, and many others, our dealership offers a great selection of used SUVs in a variety of different makes, trim levels, and colors. Feel free to scour our pre-owned inventory and see what we currently have available. Our customers in Knoxville, TN will be happy to know that we have many of the most popular used Toyota SUVs in stock. Are you looking for a pre-owned Toyota Highlander for the third-row capabilities? Perhaps you’re from Sevierville, TN and looking for a used Toyota RAV4 Hybrid for the fuel economy. No matter what used Toyota SUV you are looking for, our dealership prides itself on having a large inventory of these vehicles to keep up with the demand. If you aren’t currently looking for a Toyota SUV, we also carry many SUVs from a variety of popular brands. Greeneville, TN customers can expect to find fan-favorite models from manufacturers like Ford, Kia, GMC, Chevrolet, and even luxury brands like Infiniti. Like our used Toyotas, we like to have high-quality vehicles represented on our lot. Many of the questions we get from some of our Newport, TN customers surround the benefits of buying a used vehicle. Rusty Wallace Toyota believes that there are many reasons to consider buying a used vehicle, among them the fact that every pre-owned vehicle at our dealership comes with a complimentary AutoCheck® Vehicle History Report. This report lets our customers know the history, including maintenance and titling, of the vehicle they are considering. There are no surprises and that takes out the fear of the unknown. If you are working with a tighter budget, you may be able get more vehicle for your money with a used SUV. You may be able to get more features and options for your budget going used rather than with a new vehicle. Give our sales staff a call about the used SUV that’s right for you, or stop into Rusty Wallace Toyota, in Morristown, TN, and test drive that vehicle today.